Builders Directory of experienced, reliable Builders on the Gold Coast and Northern Rivers. With all the hard work done for you, all you have to do is browse the listings in our Building and Construction Directory for your local area. We have Ballina Builders, Lismore Builders, Byron Bay Builders, Murwillumbah Builders and Tweed Heads Builders. When it comes to finding a Builder on the Gold Coast Builder or Nationwide, Nbtrade.com.au provides a vast range of choices. Builders from all areas servicing both domestic and commercial. For any job big or small, NBTrade.com.au Builders Directory will have someone from your local area on the job. Whether you're in need of extensions, renovations, repairs, or small building jobs, you can trust Nbtrade.com.au Builders Directory to find you the right Builder. Contact a Builder on the Gold Coast or Builders in any Location straight from the Nbtrade.com.au Builders Directory. 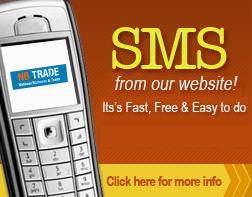 Nbtrade.com.au gives you the option to SMS or Email for an appointment or quote straight from the Listings page. Its that easy. Nbtrade.com.au is the perfect site for comparing Builders and especially handy for those last minute building emergencies. Nbtrade.com.au has made searching Builders simple. Your easy to use Online Builders Directory. A Search Tool for navigating with ease around our website.